Coade Stone Lion, a photo by webmink on Flickr. 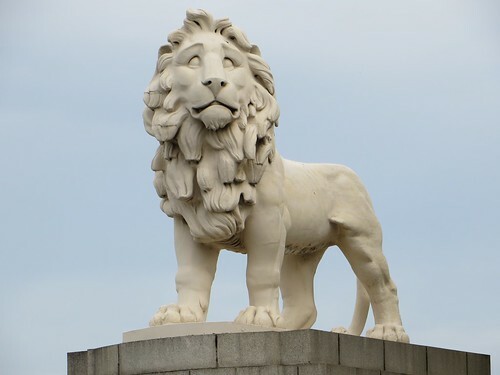 This iconic Victorian sculpture of a lion stands opposite the Houses of Parliament at the south end of Westminster Bridge in London, England. It looks new, but has survived 175 years, including through World War 2 and the demolition of the building for which it was created. It is actually made of a ceramic called Coade Stone by sculptor W.F. Woodington in 1837. The material is made from a mix of clay, flint, quartz and glass – in ratios that are known to us – and then cured over multiple days at high temperature – in a process that is lost. Coade Stone appears to be one of the most durable artificial materials created, but sadly the precise technique needed for industrial manufacture did not survive the closure of the manufacturer. 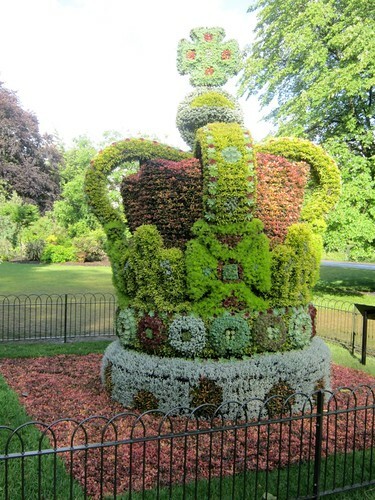 Royal Topiary, a photo by Webminkette on Flickr. In England and the Commonwealth, everyone is celebrating our Queen’s Diamond Jubilee. It is a great time to be in London and, even if you missed the the main weekend of celebrations, there are still plenty of interesting extra touches to see that make me smile. This photo is but one example. It is in St James’ Park, just off The Mall (that leads to Buckingham Palace); I thought it was wonderful and hope you enjoy looking at it too. There were so many fish! There were so many fish., a photo by Webminkette on Flickr. 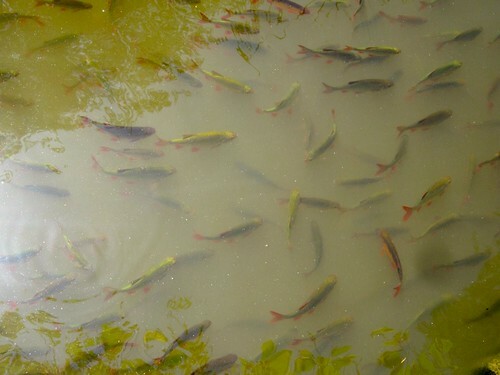 This is just a few of the many fish in the pond at Hillier’s Gardens. It was such a very bright day that I could not see the image on the view finder. However, the shot was worth the risk because there were so many fish that I could not work out how I could fail to capture some of them on the photo. My instincts were correct! When the photos were transferred to the computer, there were the shoals of fish. I hope you enjoy this image; better still, go and see them for yourself. Padstow Harbour, a photo by webmink on Flickr. Cornwall, the part of England that’s the far south-western point of the country, is a rubbed land dominated by fishing and historic industry. The town of Padstow nestles on the coast around a delightful harbour, and has become a gastronomic destination since chef Rick Stein has set up shop there in several places. 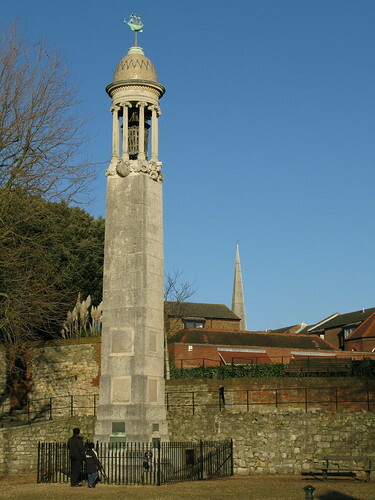 Pilgrim Memorial, Southampton, a photo by webmink on Flickr. 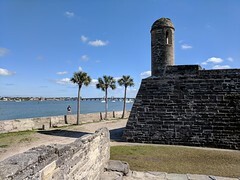 It’s possible that you think the Puritan colonists who settled the US east coast departed from Plymouth, but that’s only partly right. It turns out their journey was already fraught by the time they got that far. The Mayflower (together with the Speedwell) originally departed from Southampton with the Pilgrim Fathers (and presumably some Pilgrim Mothers as well) – Elizabethan religious misfits whose departure probably went unremarked at the time. After stops at Dartmouth and Plymouth to repair storm damage the Mayflower went on to the New World – the Speedwell was too damaged to make the voyage. And the rest is history. 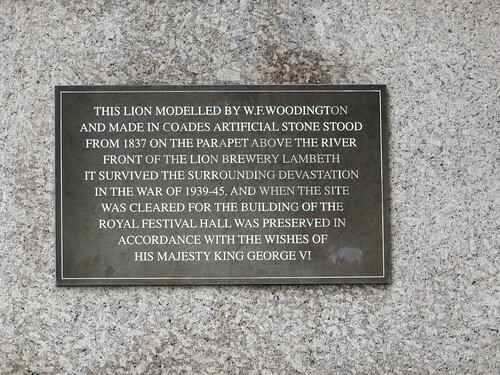 More details can be seen on the plaque at the bottom. Bluebell Woods, a photo by Webminkette on Flickr. 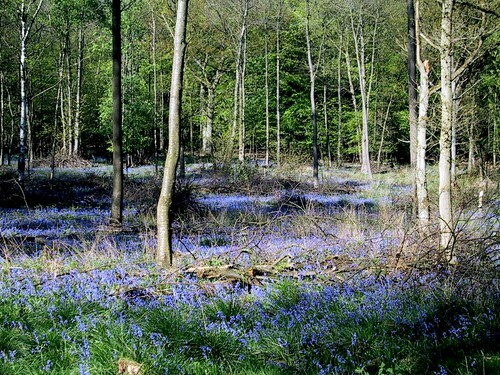 Driving up the M3, in England, yesterday – I could glimpse the beautiful, blue, forest floors. Yes, it is the beginning of May and we are truly into Bluebell time. 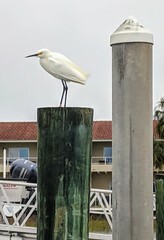 It is not surprising that many people take the opportunities afford to them to try and seek out such spots. This reminded me of the photos I took, some years back, whilst tramping in the woods opposite Ashridge Business School. The sun was shining, we enjoyed the landmarks and spotted the occasional herd of deer. Waving in the gentle breeze, the ground was a sea of blue. Looking through the view finder I didn’t think i would manage to capture the bluebells in my photos, so (when I could examine them on a computer) it was with great delight that I discovered I had encapsulated the essence of the experience after all. Of course, it is always better to visit the groves yourself and to enjoy, first-hand, the aroma and wonder of our Spring woods. 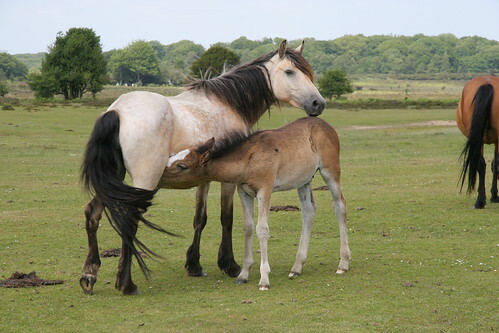 Mother and Foal, a photo by webmink on Flickr. We’re not too far from two newly-created national parks in the UK. One, to the north of us, is South Downs National Park, and the other is New Forest National Park to the west. As “new” goes, it’s only new on the scale of the history of the British Isles. It was set aside as a royal hunting forest by King William I in 1079. One of its features is free-roaming horses, such as the ones you see above. Everyone needs a TV in the bath!! 😀, a photo by Webminkette on Flickr. I think we live in a fairly techy household… but, despite renewing one of our bathrooms over the Christmas holiday, we have not yet bothered to include a TV/computer screen in the bathroom. This photo is from a hotel we stayed at in London. Did I appreciate it? Not really. Once we had got past the novelty and amusement factor – it saw very little use. When on holiday, we tend to use the internet less and watch almost no TV – instead we sight-see, walk and even… talk!! 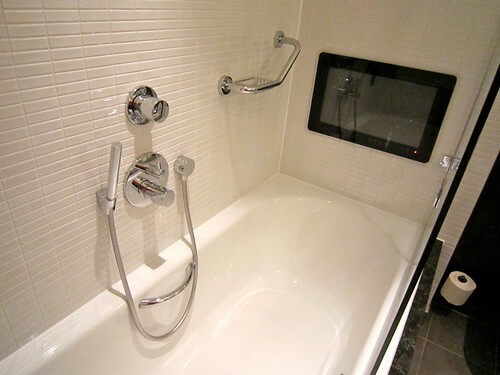 Does the idea that you may one day be able to skype your friends from in the tub worry you? Or is it just the incentive you need to go on that diet? Either way, whilst this photo may not count as visually stunning, I hope it has increased your daily mirth quota, broadened your mind a little and might even inspire you to leave a comment! Enjoy. 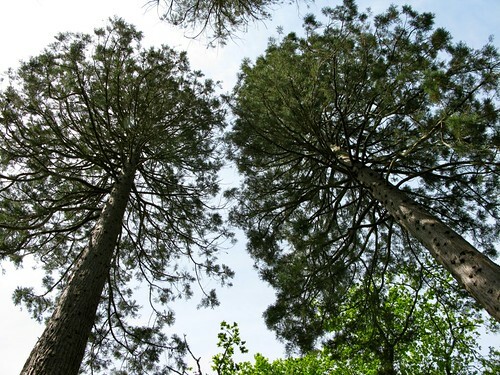 Tall Trees, a photo by Webminkette on Flickr. Those who know me, know I love trees! I loved them as a child, I re-fell in love with them when we first visited Australia’s rainforests (where they seem to grow so high) and where rides through the canopy gave me a tantalizing glimpse into another world. In America we have visited some special groves – to celebrate both height and girth of trees – including those made up of Redwoods. Today’s picture is of a less exotic variety, taken locally at Exbury (whilst we were mainly admiring the azaleas.) Nevertheless, these beautiful trees still appeared majestic and I could not resist standing below them and snapping the fascinating view when looking up at the pale sky from underneath their boughs. Palace of Westminster, a photo by webmink on Flickr. 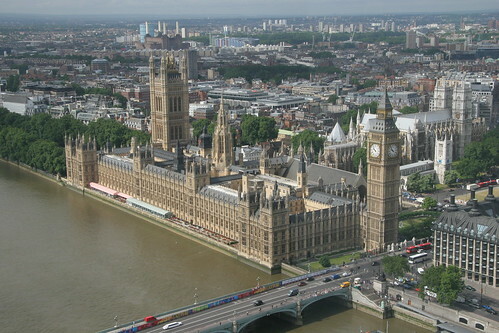 If you want to get this view of the Parliament buildings in London, you’ll need to ride the London Eye.